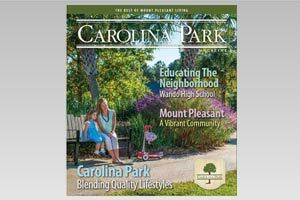 FAMILIARLY KNOWN AS "Flowertown in the Pines" and treasured as a retreat from the Lowcountry-s summer heat and mosquitoes, Summerville has grown into a town of some 30,000 permanent residents. It offers a quality of life that harks back to its rural origins but with a range of amenities from excellent shopping and superb dining to easy access to both work and play in Charleston and along the Carolina coast. 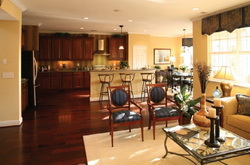 Adding to the charm of Summerville is Eagle Run, a community developed by prestigious new-home builder KB Home. Located near Dorchester School District 2-s highly regarded schools, public golf courses, parks and historic sites, Eagle Run is also convenient to Interstate 26. The KB Home Studio offers a wide selection of lighting and flooring options, including wood, ceramic tile, vinyl, marble and carpeting. Window treatments range from vertical blinds to cellular shades, natural shades, wood blinds and metal blinds. Kitchen counter top options include granite, Corian, laminate and the very popular Silestone, all in a selection of colors and patterns. Cabinets feature recessed, raised, framed or beaded panels. An attractive and useful kitchen island is also offered. The available super master bath features enclosed shower, jetted tub and twin sinks. In the family room, an optional fireplace is offered with a range of attractive facings to complement the buyer-s décor.